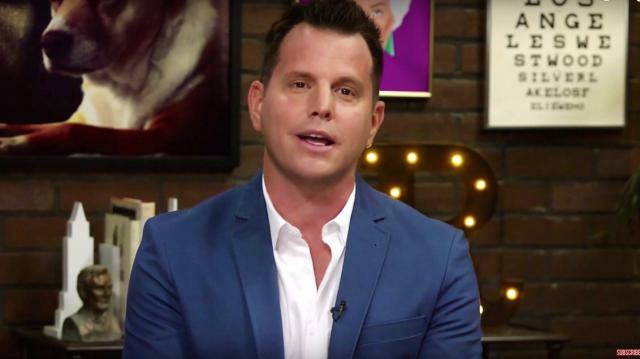 Welcome to the all new Rubin Report, hosted by Dave Rubin! Dave lays out the ground rules for how the show will be run. Is Free Speech in Danger? Should We Always Have a Public Opinion On Everything? 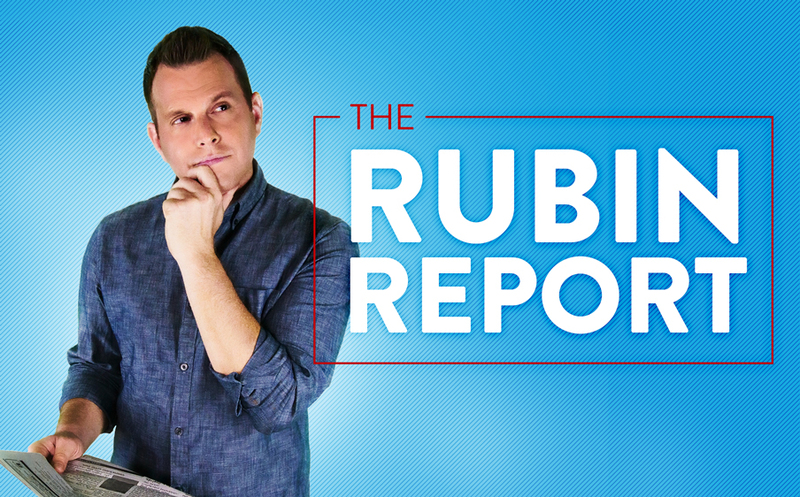 Hey guys, Dave here and this is the all-new Rubin Report. We're in a great new studio, with an awesome new set and a fantastic new crew. It's been a long journey for me to get here, from interning at The Daily Show in 1999, to 14 years of stand-up comedy in New York City, to SiriusXM, to The Young Turks, to my new home here at Ora TV. We're gonna be rounding out the political and current events coverage here alongside two huge influences of mine, broadcasting legend Larry King, and free speech beacon Jesse Ventura. As many of you know, over the last few months I've been really disappointed by people supposedly on my team, the left, on issues of political correctness and free speech. Toss in the social justice warriors and our lapdog media, and debate...i mean true debate...gets totally tossed out the window. To me, there is nothing more important in a democracy than free speech and debate. We should debate everything, we should talk about everything, we should engage in ideas that we aren't comfortable with and we should let the best ideas win. That's how a healthy society based on rational ideas and a secular government should work, but too often these days it simply isn't what's happening. And while the far right in this country went off the deep end awhile ago, what I've really been affected by is seeing my side, the people on the left, cherry picking facts, stifling debate, and labeling everyone they disagree with a racist, a bigot, a homophobe, or worse. These aren't liberal principles much less are they the ideals our founders intended us to use when they started this country. I know I'm not the only one feeling this by the way. As I've started talking more and more about political correctness, free speech, and true liberal values, like women's rights, gay rights and human rights around the world, I've seen a huge amount of people waking up along side me. I see it in the YouTube comments, I see it on Twitter, Facebook and everywhere else. There's been an awakening of the sane majority and if I can use my voice to be any part of that then that's why I'm here. So with that in mind I want to set a couple ground rules for how we're gonna do this show. Rule #1: I promise you that beyond anything else, I will not blatantly lie to you. One of our biggest problems these days is nobody knows who to trust anymore. We have politicians who lie endlessly and a mainstream media that helps them do it, either by asking the wrong questions or not asking any questions at all. Then we have an online media that is fact-checked by nobody thus left to its own devices. I will do my best to get information to you in an honest way. I will get things wrong sometimes, but it won't be intentional, and that brings me to #2. Rule #2: Please fact check me! If you hear me say something that you think is factually unsound or patently wrong, call me out on it! Tweet at me, respond in the YouTube comments or email me. I'll discuss them with the team and we'll address the ones that should be addressed. And we'll even credit you for it! Rule #3: I won't talk about people's personal lives unless they're hypocritical politicians. It seems to me we've gotten in a really bad habit of thinking that everyone's business is our business and nobody has a right to privacy. That's not gonna be what we do here. I don't care what people do in their bedroom or in their personal life as long as if isn't a politician voting one way and doing something else privately. Just because someone hacks into someone's email or there are naked pictures of some celebrity doesn't mean we have to feed this monster. Rule #4: I won't be a partisan hack. One of the worst things on cable news is that they think debate is taking a Republican operative and a Democratic strategist, sitting them across from each other and letting them go at it. That's not debate, that's just drivel. Do you know how many former White House officials and party leaders work for the cable news channels? I don't either, but it's a lot. Yes, I tend to agree more with people on the left, but I'm not in this for the Democrats. I think they're as sold out and as corrupt as the Republicans and I'm gonna call them both out for it. With that in mind, let's do to #5. Rule #5: I will consistently stand for liberal values and I won't demonize everyone who disagrees with me. I believe in free speech, I want minorities to be treated equally, I want women to be be treated equally, I want gays to be treated equally, I want everyone to be treated equally, and these are principles I will always defend. And please note there, that I said equally. I don't think anyone deserves special treatment or special favors. And then when we're all equal we can treat everyone as crappy as they treat us. You know, the American dream. Rule #6: We're gonna talk about big ideas here. We are so bogged down in attacking people that we rarely talk about why we are talking about them at all. I want to talk about what the role of government should be, what kind of foreign policy we should have, ethical debates about abortion and stem-cell research, not about the small-minded people who are often driving the conversations. This one is gonna be a tough one, because sometimes these people have to be addressed, but I'll try to do it sparingly and for good reason. Rule #7: I promise to keep reading as many of your tweets, comments and messages as humanly possible. I want this to be a conversation, not just me talking at you. For the record though, you should know I struggle reading anything that's over 140 characters. Rule #8: I won't fake outrage for clicks and views. There's enough ranting and raving on TV and online, if that's what you're looking for, look elsewhere. Rule #9: I'm gonna relate things back to Star Wars, usually in a pretty coherent way but that might require you to do some homework. And if a Star Wars reference goes over your head you can't just try to figure it out you have to actually do it. In the words of Yoda, try not, do or do not, there is no try. Rule #10: I will not always live up to these rules but I will try...I mean do... the best I can.